- We have brought back our Green Playmates and Student Peace Makers. The Green Playmates helped over 50 students find a friend to play with at recesses in September. Our Peace Makers spent a half day receiving training in conflict resolution. They were ready to try out their skills immediately after completing their training and have helped about a dozen kids solve playground conflicts. - Our Social Justice Committee kicked off the year with Orange Shirt Day. They created a bulletin board display and then provided information about residential schools to the student body during morning announcements. Orange Shirt Day itself saw Centennial awash in orange as we embraced the theme of all kids – and all people – matter. - The Green Team has been collecting the school’s recycling since the first week back at school. Recently, they have also started collecting and counting plastic bags for Bag Up Manitoba’s annual plastic bag remanufacturing program. If you’ve got plastic bags, send them to the school and we can keep them out of landfill! Remember that the Green Team also collects used batteries, markers, and pop can tabs. Remember, too, that the Green Team has declared the week of October 9 - 12 Walk to School Week. Buses will be dropping kids off at the corner of Minnewawa and McArthur and parents who are driving kids are encouraged to do the same. - Student Council was just elected at Centennial. 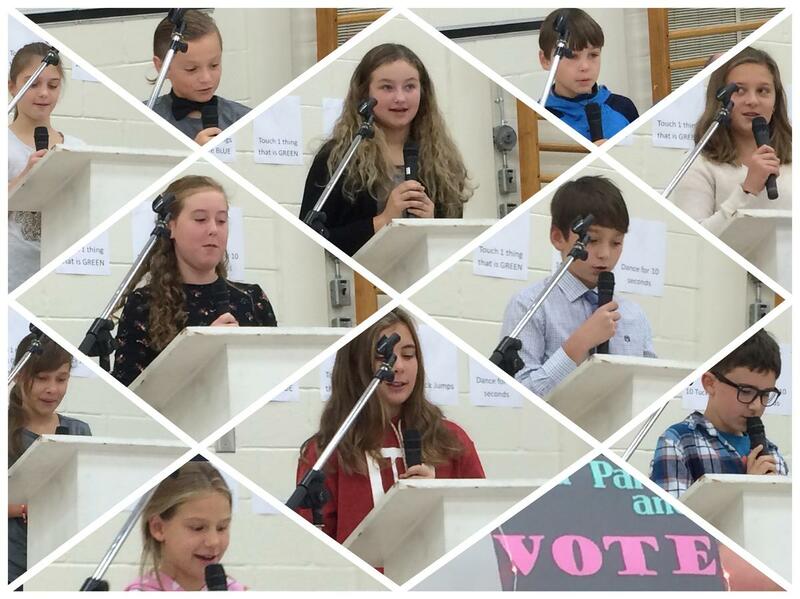 The election speeches of all candidates were intelligent and eloquent. The newly elected Student Council has already started planning their annual Haunted House and Halloween dance. Based on their election promises, I’d wager that this year will be one of special lunches, dress up days, and dances.